New commercials from automotive competitors Cadillac and Ford show differing views about the American work ethic. First to the mat was Cadillac promoting its version of American values: the hard-working, hard-charging rich guy. The actor wonders why he and other Americans work hard all the time, gain riches beyond compare, but citizens in other countries are lazy because they take-off work for the month of August. What does it say about societal values of the countries? We’re the winners because we work harder (and are richer) than other populations. 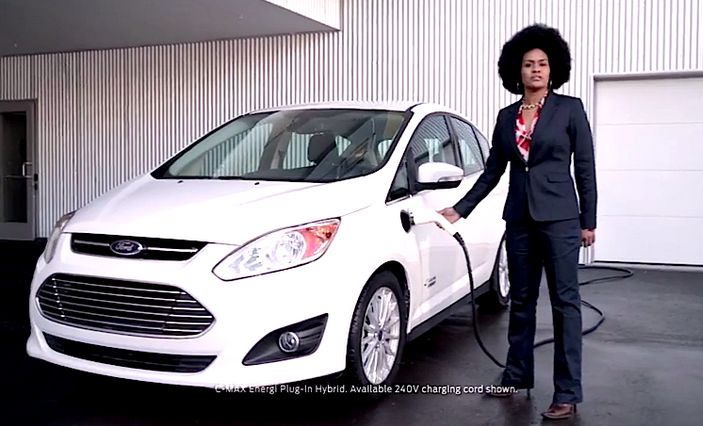 In contrast to this premise is Ford’s ad showcasing its version of American values: the equally hard-working African-American female. This actor speaks of the need to work hard, believe anything is possible, and try to make the world a better place. What does this say about societal values. We’re the winners because we work hard and give a damn about helping the world. View the two ads and decide for yourself. 2. Discuss competition. Why is Ford taking on Cadillac with the ad? 3. What are other competitors? How should they react? 4. Divide students into teams. Have each team compare Ford with Cadillac. What are the points of difference (what make products different from competitors)?